Disney's "High School Musical 2" will be performed on Friday, July 27, at 4 p.m. at the Summer Theatre of New Canaan Festival Theatre Tent at Waveny Park, 11 Farm Road. 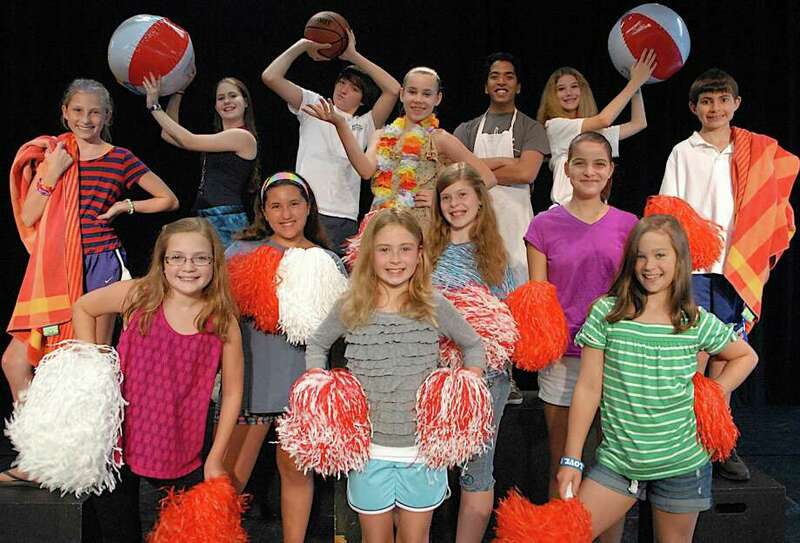 The show features the Summer Theatre of New Canaan Junior Company of actors, who are in grades 5 through 8. They have rehearsed for three weeks alongside the Summer Theatre's actors, choreographer Doug Shankman and directors Melody Meitrott Libonati and Jodi Stevens Bryce. Featured in the company are Alexandra Allen: Sharpay Evans; Mallory Bennhoff: Jenny Scott; Claire Brunner: Peaches (Sharpette); Allison Demers: Gabriella Montez; Caitlin Golynker: Martha Cox; Halley Jeffrey: Violet (Sharpette); Caitlin Golynker: Martha Cox; Halley Jeffrey: Violet (Sharpette); Caroline Kelly: Lily (Sharpette); Claire Leville: Blossom (Sharpette); Johnny Renda: Ryan Evans; Grace Rucci: Kelsi Nielsen; Chase Jansen: Troy Bolton; and Johann George: Chad Danforth. The Junior Company is part of the Summer Theatre educational outreach and preschool through young adult programs, which include the Theatre for a Young Audience series based on popular culture professionally presented to provide a rich-in-quality theater experience for preschool and early school-age children; the Junior Company for middle school students learn fundamentals in acting and performance as well as presenting a show working alongside theater professionals; the High School Apprentice Theatre Intensive, which is a pre-college acting/theater program; and The DramaRamas Special Kids acting company for children 8 to 18 and the Professional College Internship program. For information, call 203-966-4634 or visit stonc.org.